Peruvian singer and songwriter best known for her Criolla waltzes and Afro-Peruvian rhythms. Her most popular single has been "La flor de la canela," or "The Cinnamon Flower." She began singing in a choir at age twelve. Her uniquely deep voice was the result of a surgery, for she was a natural soprano. She was born and raised in a copper mining villiage in Peru. 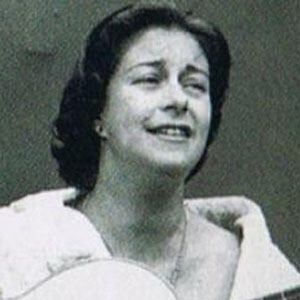 She wrote a song dedicated to the composer Violeta Parra.